Clutch Cylinder Type Concentric. Function Central Slave Cylinder, clutch. Every year, more than 10 million new vehicles equipped with SACHS products roll off the assembly line. MITSUBISHI LANCER VIII Sportback (CX_A) 1.8 Bifuel Hatchback Petrol/Petroleum Gas (LPG) 02/2010 on FWD 16 143 105. Function Central Slave Cylinder, clutch. MITSUBISHI 2324A015, 2324A072, 2324A077, 2324A078. MITSUBISHI LANCER VIII Sportback (CX_A) 1.8 Bifuel Hatchback Petrol/Petroleum Gas (LPG) 02/2010 on FWD 16 143 105. RRP: £548.11. Citroen Part Number:2182.52. Clutch Slave Cylinder. 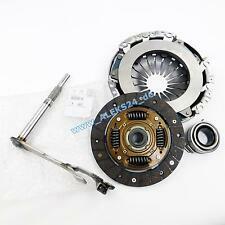 BORG & BECK BES236 CLUTCH SLAVE CYL. fit Peugeot 207 02/06-. Rice Rocket. Quantity : 1. Valeo CSC Central Slave Cylinder. Search “Valeo mycarparts”. Any information in the compatibility table is for reference only and there may be unspecified choice options. Labour claims & consequential loss claims are never accepted. 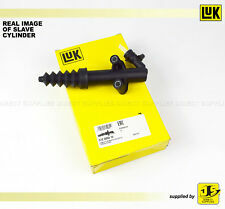 BORG & BECK BES245 CLUTCH SLAVE CYL. Rice Rocket. Quantity : 1. BORG & BECK BES242 CLUTCH SLAVE CYL. Rice Rocket. Quantity : 1. NOTE: THIS PART FITS ALL SHAPES OF XSARA N0 N1 N2. You are obliged to take reasonable care of the item. Clutch Slave Cylinder BES251 Borg & Beck. CITROËN/PEUGEOT 218216, 218242. Part Number BES251. Function Slave Cylinder, clutch. CITROËN C3 I (FC_, FN_) 1.4 i Bivalent Hatchback Petrol/Natural Gas (CNG) 02/2002 on FWD 8 73 54. Lambda Sensors. Clutch Kits. Central Slave Cylinder. Belt Tensioner Wheels & Bkts. Suspension Ball Joints. Windscreen Wiper Blades. Rear Lights. Front Exhausts Cats. Clutch Kits. Central Slave Cylinder. Belt Tensioner Wheels & Bkts. Suspension Ball Joints. Windscreen Wiper Blades. Rear Lights. Front Exhausts Cats. Minimum 12 Month Warranty. Clutch Kits. Central Slave Cylinder. Belt Tensioner Wheels & Bkts. Suspension Ball Joints. Windscreen Wiper Blades. Rear Lights. Front Exhausts Cats. Estimates can be provided beforehand but prices may differ upon ordering. Borg & Beck Clutch Slave Cylinder. Search “Borg & Beck Webcat”. Any information in the compatibility table is for reference only and there may be unspecified choice options. Labour claims & consequential loss claims are never accepted. BORG & BECK,FEBI,VIEROL,Or-Equivalent. Clutch Kits. Central Slave Cylinder. Belt Tensioner Wheels & Bkts. Suspension Ball Joints. Windscreen Wiper Blades. Rear Lights. Front Exhausts Cats. Clutch Cylinder Type Concentric. Function Central Slave Cylinder, clutch. TRIPLE FIVE L-05021-0062-32, L-05021-0062-33, L-05H21-0062-14, L-05H21-0062-22, L-05H21-0062-23, L-05H21-0062-30, L-05H21-0062-33. Clutch Actuator Slave Cylinder 3981000089 Sachs. Part Number 3981000089. CITROËN 218252. Function Slave Cylinder, clutch. SACHS 01 3981 000 004, 01 3981 000 028, 01 3981 000 032, 01 3981 000 089, 01 3981 008 001. VALEO: 810008, A.B.S. : 51239, CITROÃ‹N: 204199, 2041-99, 2041A4, 2041-A4, FIAT: 55218454, 55239549, FTE: MZA2401.4.5, KAWE: 990148, NK: 143701, PEUGEOT: 2041A4, 2041-A4, SASIC: 5350003, TRW: PJQ211, VALEO: 810002. PEUGEOT PARTNER 5F 1.6D Clutch Slave Cylinder 2008 on ADL. Function Slave Cylinder, clutch. PEUGEOT PARTNER ORIGIN (5F) 1.6 HDi 90 MPV Diesel 10/2005 12/2015 FWD 16 90 66. PEUGEOT 407 (6D_) 2.2 Saloon Petrol 05/2004 on FWD 16 158 116. Clutch Kits. Central Slave Cylinder. Belt Tensioner Wheels & Bkts. Suspension Ball Joints. Windscreen Wiper Blades. JP GROUP,FEBI,VIEROL,Or-Equivalent. Rear Lights. Front Exhausts Cats. MITSUBISHI ASX Van (GA_W_) 1.8 DI-D 4WD Box Diesel 06/2010 on AWD 16 150 110. Function Central Slave Cylinder, clutch. MITSUBISHI 2324A015, 2324A072, 2324A077, 2324A078. MITSUBISHI LANCER VIII Sportback (CX_A) 1.8 Bifuel Hatchback Petrol/Petroleum Gas (LPG) 02/2010 on FWD 16 143 105. Manufacturer Part Number: BCM155. Borg & Beck automotive components are manufactured to the highest of standards. BORG & BECK O.E SPEC CAR PARTS > CONCENTRIC SLAVE CYLINDER. Part Type: CLUTCH MASTER CYLINDER. Function Central Slave Cylinder, clutch. Thread Size 12 x 9; plug-in connect.sys. MITSUBISHI LANCER VIII Sportback (CX_A) 1.8 Bifuel Hatchback Petrol/Petroleum Gas (LPG) 02/2010 on FWD 16 143 105. MITSUBISHI LANCER VIII (CY_A, CZ_A) 1.8 Bifuel Saloon Petrol/Petroleum Gas (LPG) 01/2010 on FWD 16 143 105. Manufacturer Part Number: BES242. Borg & Beck automotive components are manufactured to the highest of standards. BORG & BECK O.E SPEC CAR PARTS > CONCENTRIC SLAVE CYLINDER. Part Type: CLUTCH SLAVE CYLINDER. Clutch Slave Cylinder BES249 Borg & Beck. Part Number BES249. Function Slave Cylinder, clutch. PEUGEOT EXPERT Van (222) 2.0 HDI Box Diesel 07/2000 12/2006 FWD 8 94 69. PEUGEOT EXPERT Van (222) 2.0 HDI Box Diesel 07/2000 12/2006 FWD 8 109 80. FIAT DUCATO 244 2.3D Clutch Slave Cylinder 2002 on Sachs. FIAT DUCATO Box (244_) 2.0 Box Petrol 04/2002 on FWD 8 110 81. FIAT DUCATO Box (244_) 2.0 4x4 Box Petrol 05/2002 07/2006 AWD 8 110 81. FIAT DUCATO Box (244_) 2.0 Bipower Box Petrol/Natural Gas (CNG) 11/2002 on FWD 8 110 81. Manufacturer Part Number: BES244. Borg & Beck automotive components are manufactured to the highest of standards. BORG & BECK O.E SPEC CAR PARTS > CONCENTRIC SLAVE CYLINDER. Part Type: CLUTCH SLAVE CYLINDER. CITROËN XSARA Coupe (N0) 1.4 HDi Coupe Diesel 01/2003 03/2005 FWD 8 68 50. CITROËN XSARA Coupe (N0) 2.0 16V Coupe Petrol 09/2000 03/2005 FWD 16 136 100. CITROËN XSARA Coupe (N0) 2.0 HDI 90 Coupe Diesel 02/1999 03/2005 FWD 8 90 66. Valeo Clutch Slave Cylinder. Any information in the compatibility table is for reference only and there may be unspecified choice options. Labour claims & consequential loss claims are never accepted. Manufacturer Part Number: BES236. Borg & Beck automotive components are manufactured to the highest of standards. BORG & BECK O.E SPEC CAR PARTS > CONCENTRIC SLAVE CYLINDER. Application: Peugeot 207 02/06-. DV4TD(8HX). C3 SX HDI (MK1 (A8)) (ABS). Clutch Slave Cylinder. 1398cc 67/50 8v. The table below contains further information. Item Information & Vehicle Details. This item is a used vehicle part and as such may have signs of general wear/handling. PEUGEOT 307 3E, 3H 1.4D Clutch Slave Cylinder 2001 on LuK. Function Slave Cylinder, clutch. PEUGEOT 307 Estate (3E) 1.4 HDi Estate Diesel 03/2002 06/2005 FWD 8 68 50. PEUGEOT 307 Estate (3E) 2.0 Estate Petrol 03/2002 06/2005 FWD 16 136 100. Manufacturer Part Number: BES245. Borg & Beck automotive components are manufactured to the highest of standards. BORG & BECK O.E SPEC CAR PARTS > CONCENTRIC SLAVE CYLINDER. Part Type: CLUTCH SLAVE CYLINDER. C3 I (FC_, FN_). C3 Pluriel (HB_). Slave Cylinder, clutch Actuator. 1007 (KM_). 1.6 16V (80 kW ; 02/2006 - ). 1.4 16V (65 kW ; 02/2006 - ). 207 (WA_, WC_). 1.6 (80 kW ; 05/2003 - ). Clutch Cylinder Type Concentric. MITSUBISHI ASX Van (GA_W_) 1.8 DI-D 4WD Box Diesel 06/2010 on AWD 16 150 110. Function Central Slave Cylinder, clutch. MITSUBISHI 2324A015, 2324A072, 2324A077, 2324A078, 2324A080, 2324A081. Clutch Cylinder Type Concentric. Function Central Slave Cylinder, clutch. MITSUBISHI 2324A015, 2324A072, 2324A077, 2324A078, 2324A080, 2324A081. MITSUBISHI LANCER VIII Sportback (CX_A) 1.8 Bifuel Hatchback Petrol/Petroleum Gas (LPG) 02/2010 on FWD 16 143 105. MITSUBISHI L 200 / TRITON (KJ_, KK_, KL_) 2.4 DI-D (KJ0T) Pickup Diesel 09/2015 on RWD 16 154 113. MITSUBISHI L 200 / TRITON (KJ_, KK_, KL_) 2.4 DI-D 4WD (KJ0T) Pickup Diesel 09/2015 on AWD 16 154 113. Clutch Cylinder Type Concentric. Function Central Slave Cylinder, clutch. Transmission Type: Manual Transmission, 5-speed. Transmission Type: Manual Transmission, 6-speed. Every year, more than 10 million new vehicles equipped with SACHS products roll off the assembly line.